The front of both boxes proclaimed “NEW!” and “Certified Organic” along with other positives, which made them seem a bit busy with the text all over. 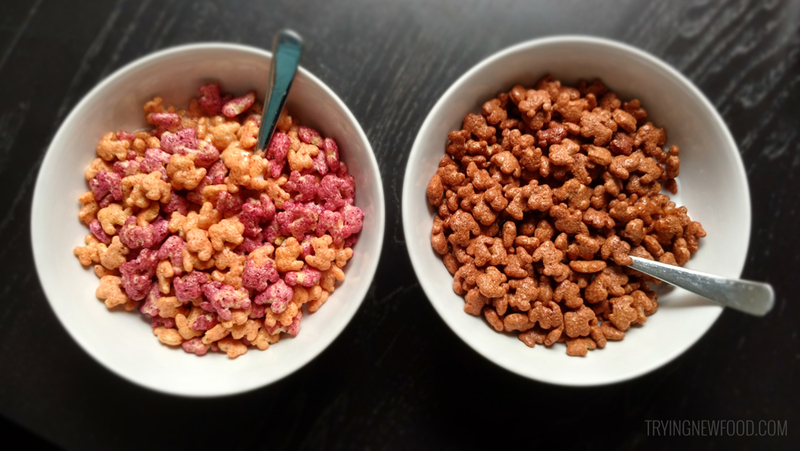 When we poured out the cereal, the color of the cereal in real life was a little lighter than what was advertised on the boxes. But what really matters — how did it taste? Really good! We were really happy with both cereal flavors. 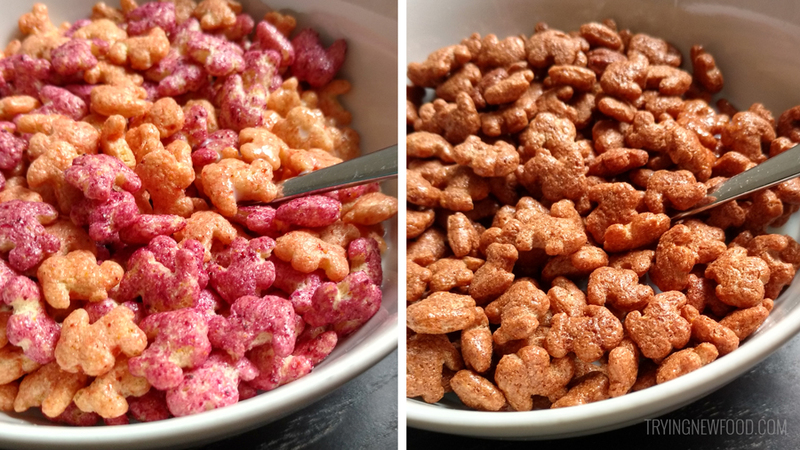 The Berry Bunnies tasted similar to Cap’N Crunch Berries cereal, but left me feeling less guilty after eating a bowl. 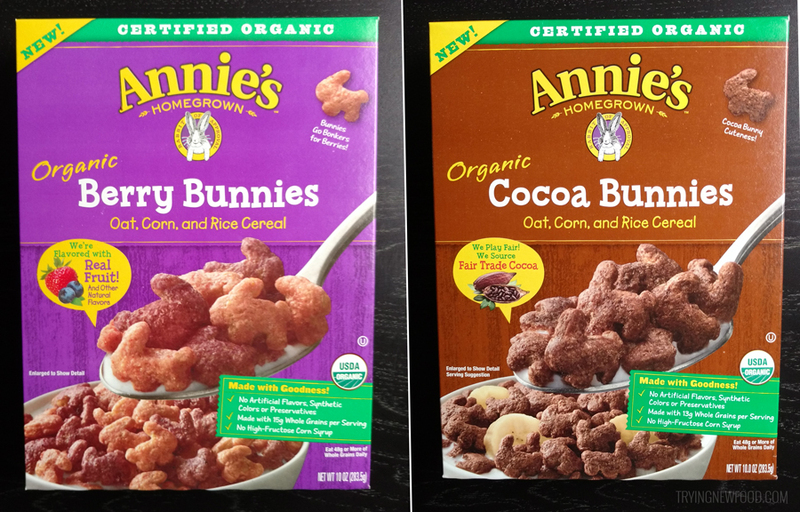 With the Cocoa Bunnies cereal, it was mildly sweet with an even cocoa taste throughout. 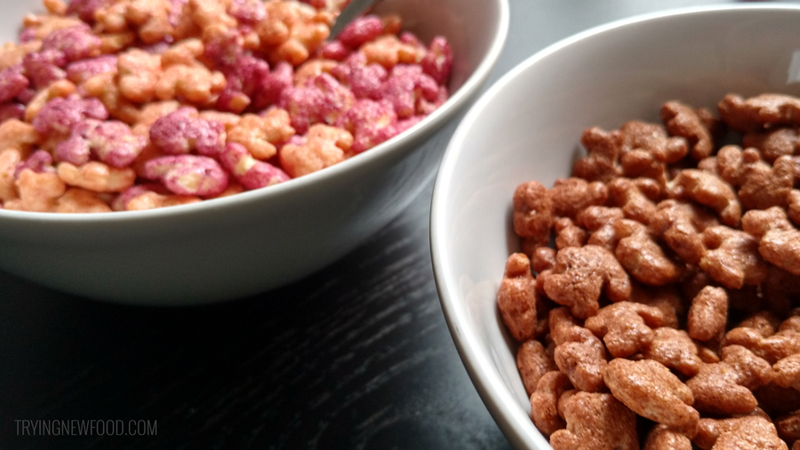 We thought it tasted even better than Cocoa Pebbles since it wasn’t overly sweet. We’ll definitely buy these two cereals again. These are perfect for breakfast, but are great for a quick dessert too!